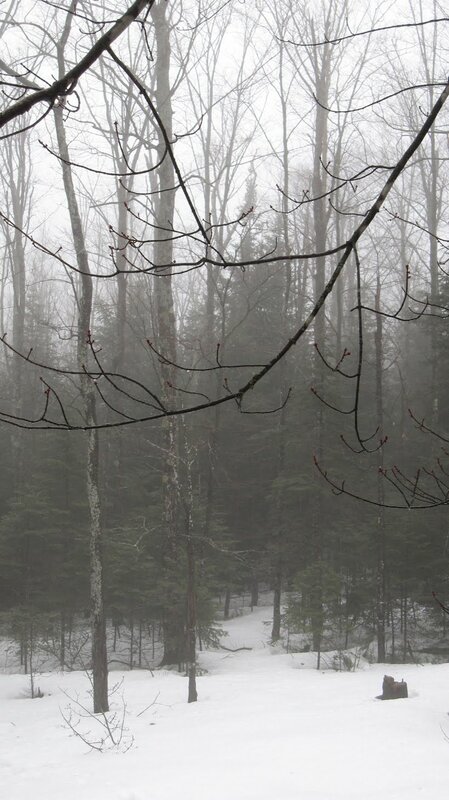 As you can see in today's view from home, it is springtime in the Adirondacks. The fog and mist at the homestead have thickened so I can't see the normally visible turn in the driveway. 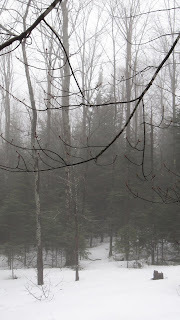 There is an enchanting quality in the Adirondacks on days like this when the last gasps of snow turn into misty fog and look like ghosts ascending back into the heavens. Although it means the end of ski season, springtime in the Adirondack can be beautiful and is a great way to let winter go.